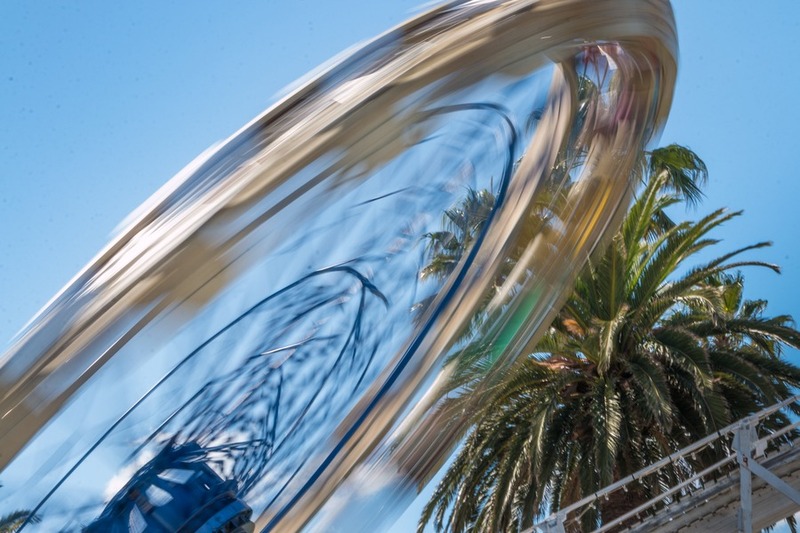 Luna Park is an iconic landmark in Australia. How could it not be with a giant toothy mouth as an entrance? 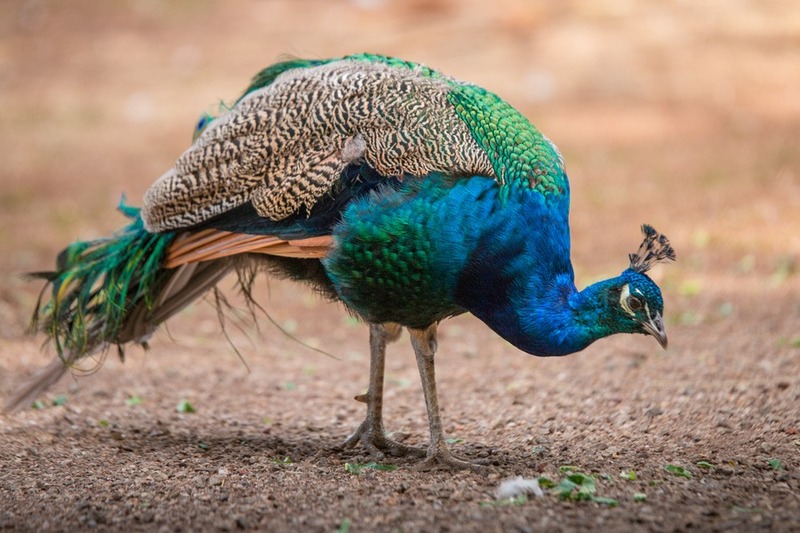 Overlooking Port Phillip Bay, the historic park has been around for more than 100 years. Its like Brighton Pier and Santa Monica Pier, but without a Pier. A carnival-theme park alongside the ocean. 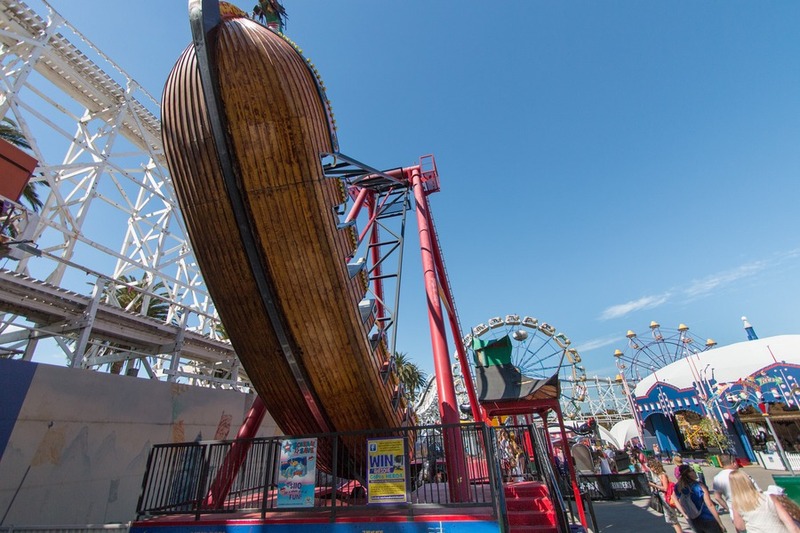 And much like those two other famous carnival piers, entry is free to Luna Park, but you will pay dearly for the rides. But you can make the most out of a day at the park with the Family Pass Ticket, which will save you 20% off regular individual tickets. Mia’s favourite attraction was the high rope climbing adventure (which was a temporary school holiday attraction), while Caius enjoyed some of the smaller kids rides. A large public parking lot is available nearby (set you back just over AUD$11 for the day), or you can take the train (Balaclava station) or tram (line #16 or #19). 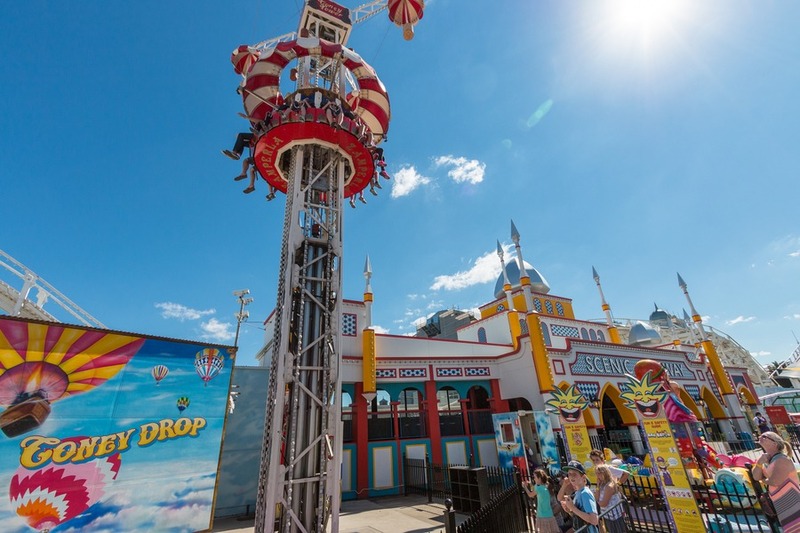 Single Ride Ticket - Toddler (0-3): AUD$4.95, Child (4 – 12): AUD$8.95, and Adult (13+): AUD$10.95. 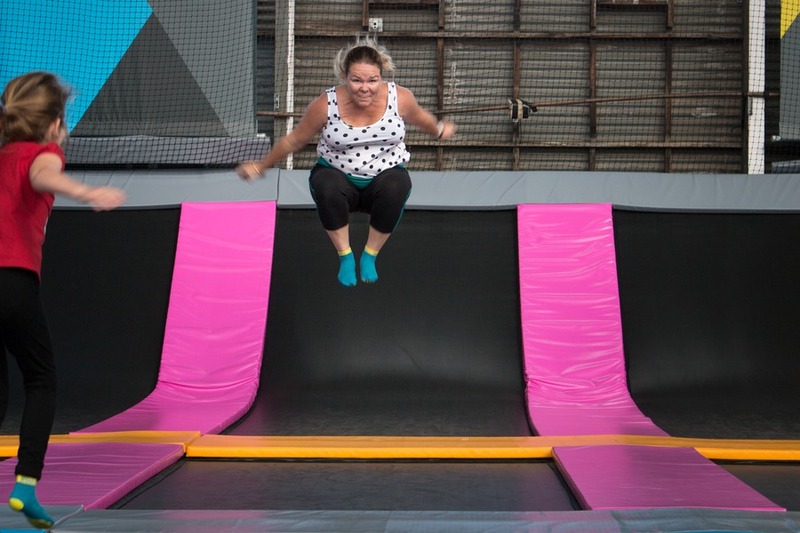 With more than 100 interconnected trampolines, Bounce Inc. is like a colourful jump party on the moon. 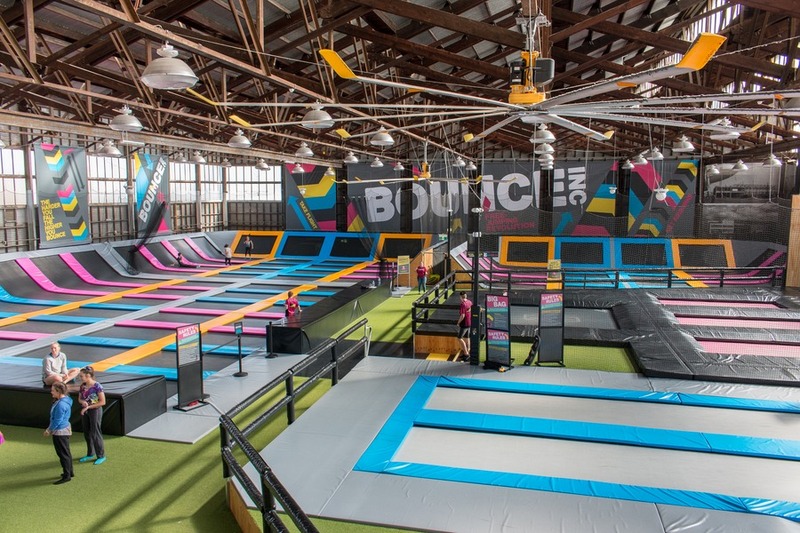 Plus the Bounce Inc. branch we visited at Essendon Fields is also home to the Supertramp, Australia’s biggest trampoline. At 5x5 metres it’s impossible not to be impressed. 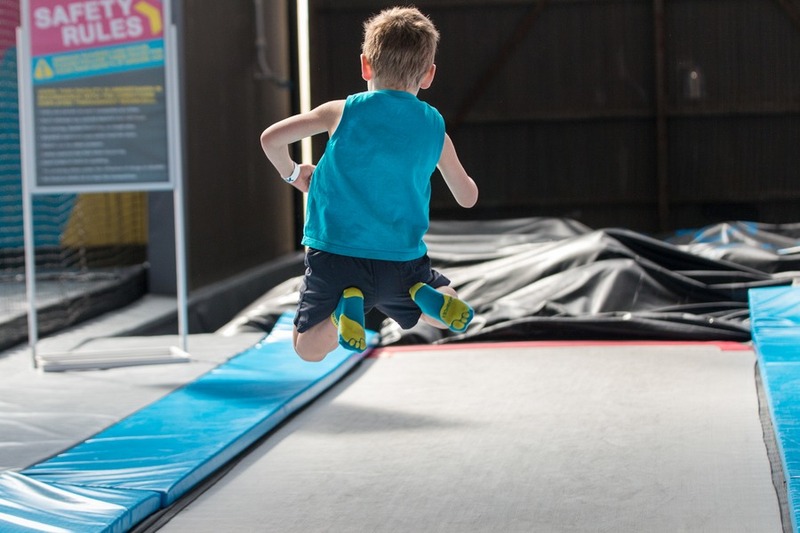 Situated in a heritage listed aircraft hangar it might not have the same ambience as Bounce Below (suspended trampolines deep in an cave in rural Wales), but it certainly was fun watching planes take off in the background while we were free jumping or slam-dunking. Our kids’ choice was unanimous. 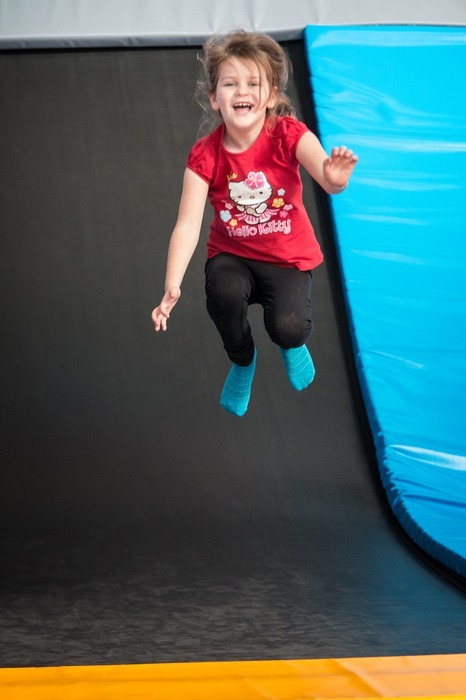 They loved the long trampolines that launched them into a huge airbag. Josh was a fan of the basketball hoop trampolines making it easier for the tall, white guy to jump and I was quite partial to the aggressive bouncy dodgem ball game. Things to remember: Book online, this place gets busy. Make sure you wear bounce, grip socks (these are available for purchase the first time you visit). 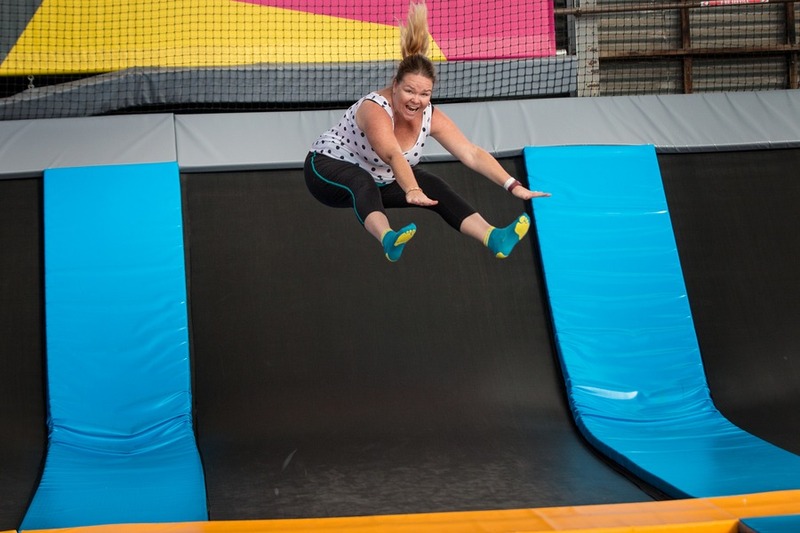 And tap onto the cool wristband scanner which will record your epic airborne acrobatics for later viewing and sharing via the Bounce Inc website. 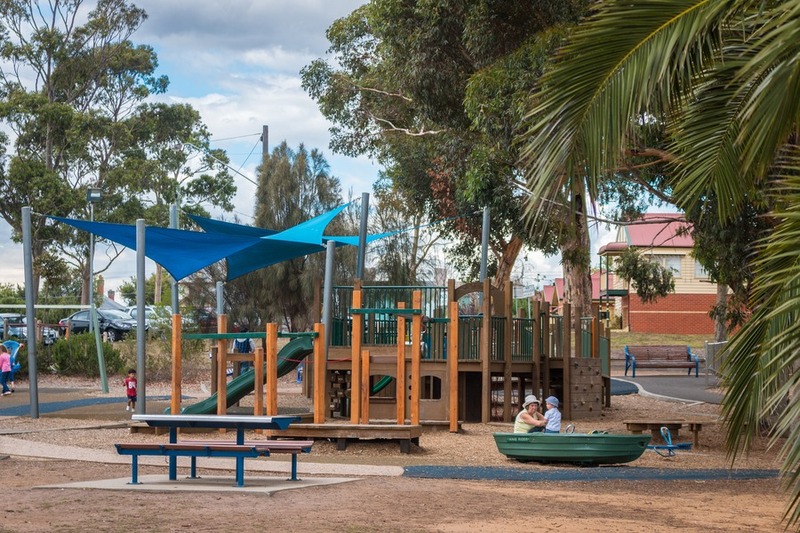 Australia is abundant with beautiful free public playgrounds for children and Melbourne is no different. With a helicopter ride sending us 500 metres into the sky we really noticed how green Melbourne was and the many, many parks it had to offer. This is a special playground only open at certain times, so check opening hours before heading there. 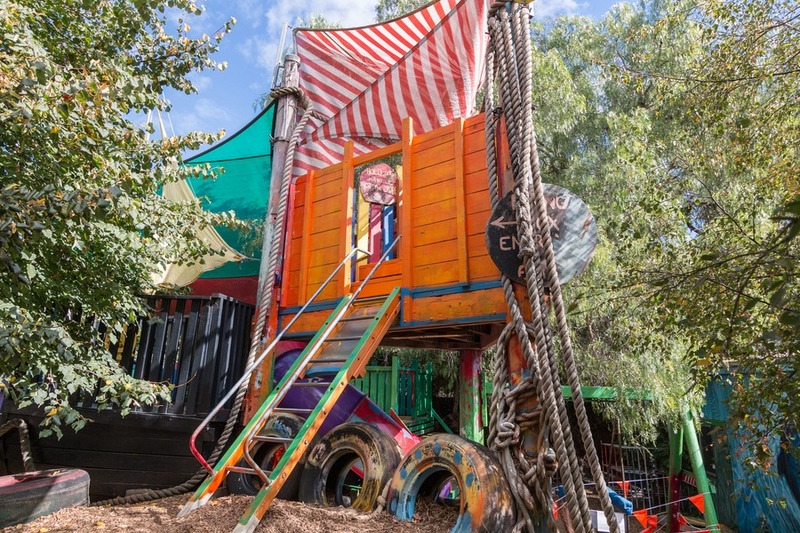 It’s like the hippie-era playgrounds in the neighbour’s backyard – but much bigger. 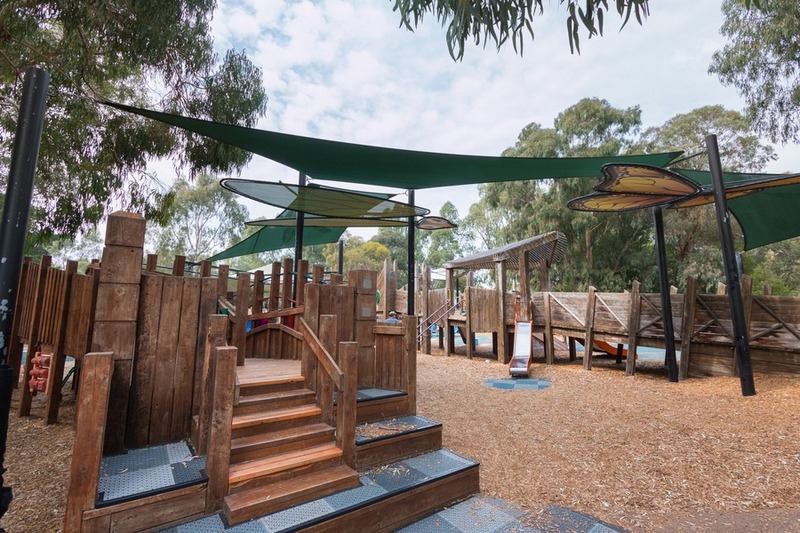 Slightly strange compared to more modern playgrounds, but also great fun with a flying fox, climbing structures, trampolines, cubbies, natural play spaces and heaps more. 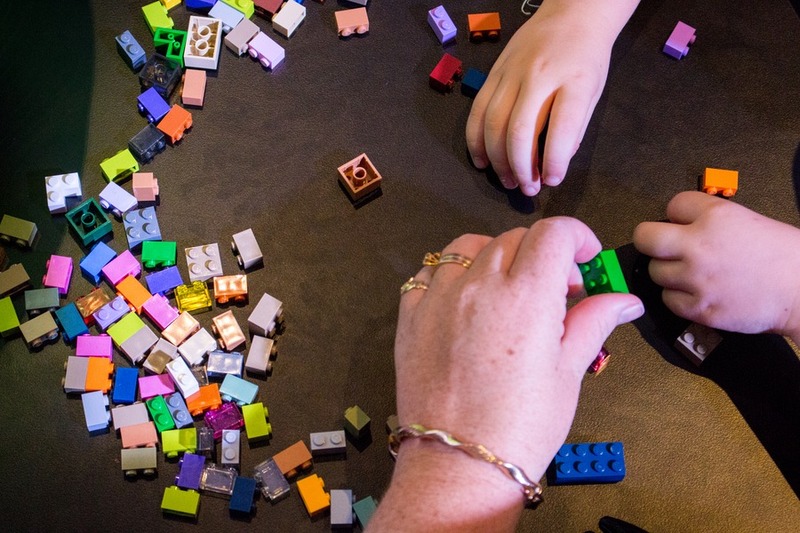 The ethos it’s promotes focused on the importance of free play and controlled challenges for children is aligned with my personal educational philosophy. In short that means not wrapping children in cotton wool. The only problem, street parking can be hard to find. 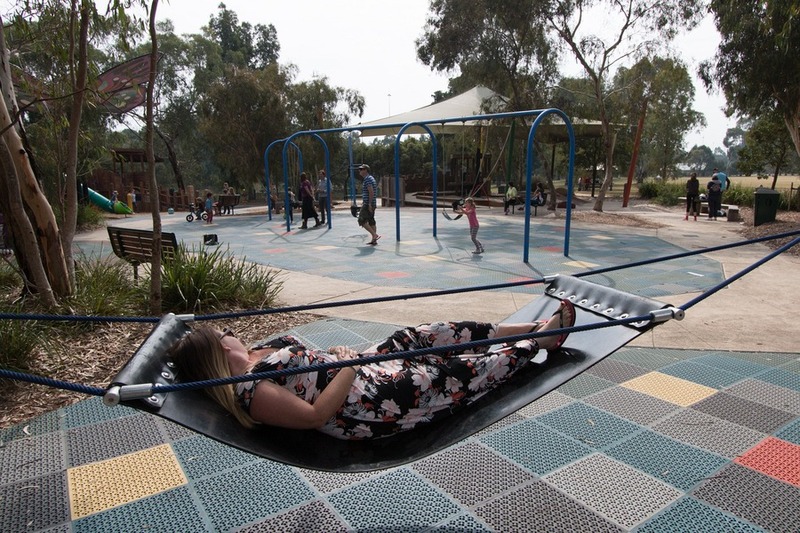 One of the best playgrounds in Melbourne with ultra futuristic toilets! 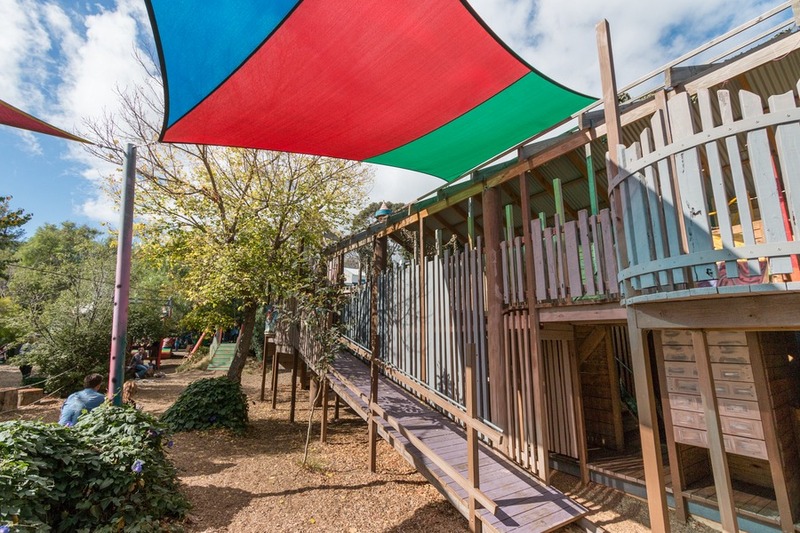 Slides and swings, see-saws, toadstools, springers, large rope climbing frame, large hammocks, a big sandpit and more. 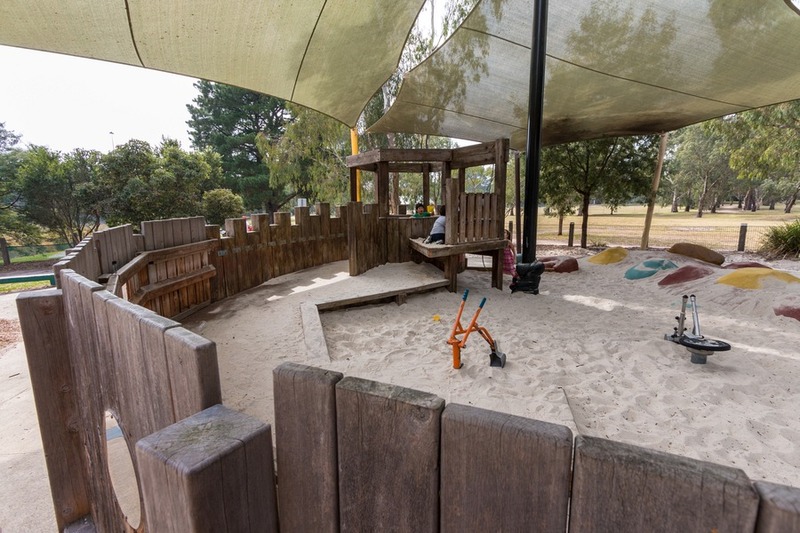 This large wooden playground was built in 1998 and features an array of slides, walkways, towers, sandpits, monkey bars and swings. A nearby covered area with benches and a BBQ is great for a party too. 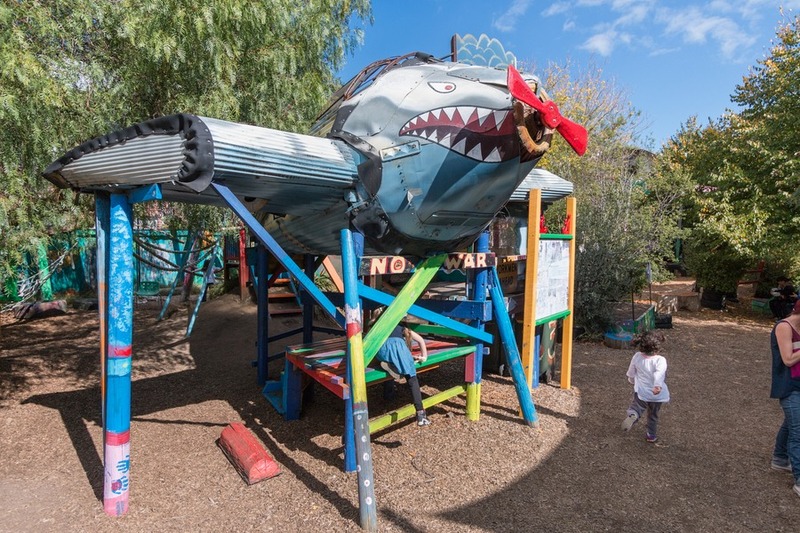 Another wooden playground along the Maribyrnong River. It’s situated under shade sails which is helpful during hot, sunny days. 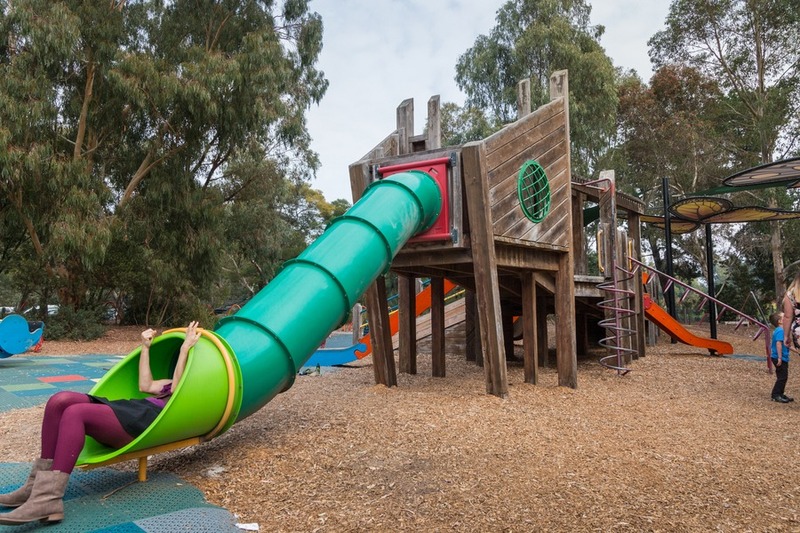 Kids will enjoy slides, monkey bars, swings, cubby houses and more. And if you get hungry there’s an adjacent restaurant. We were attending a kids’ day at the nearby Convention Centre when we passed by old Polly Woodside. They had a sale of AUD$5 entry per person so we let the kids go take a look. The ship was built in Belfast, Ireland back in 1885 and has a 10-storey main mast. The kids enjoyed playing pirates on board the deck and even received some booty as they exited through the gift shop. Location: South Wharf on the banks of the Yarra River next to the Melbourne Exhibition Centre and the Melbourne Convention Centre. 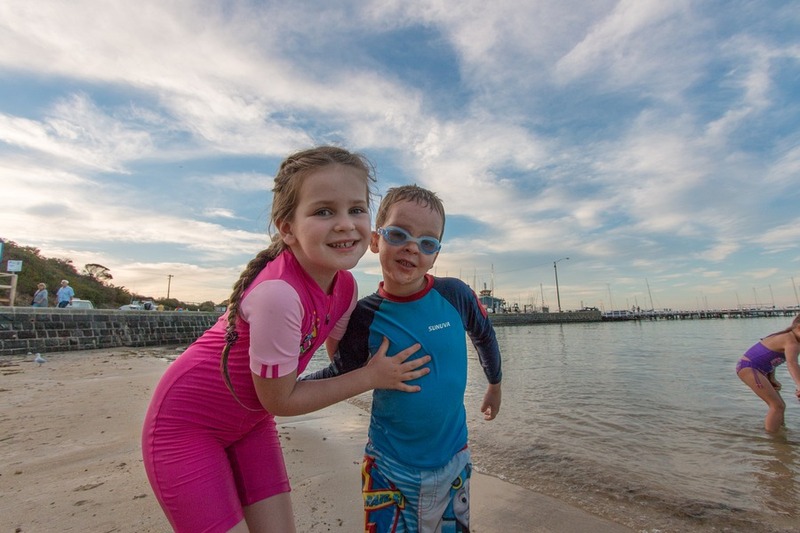 St Kilda – 6km south of the city centre is Melbourne’s favourite beach. 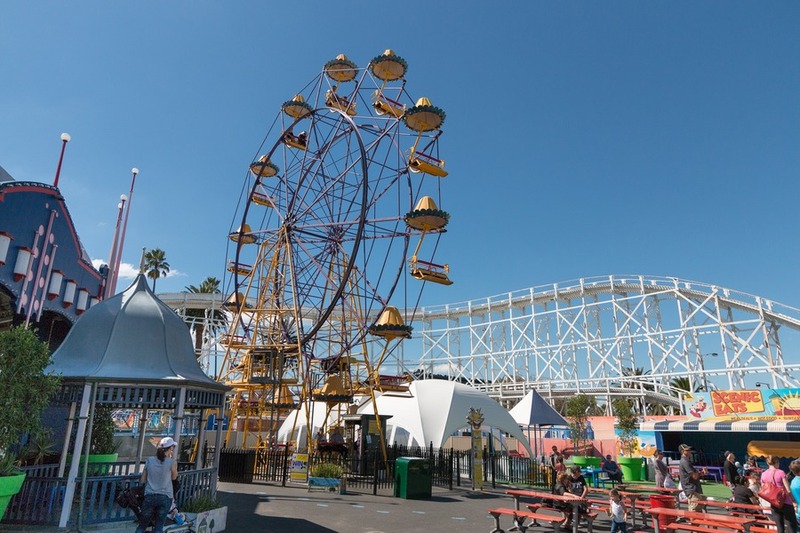 Home to Luna Park and plenty of other recreational activities. It also happens to have some of the best bakeries in Melbourne so save up your calories next time you visit. 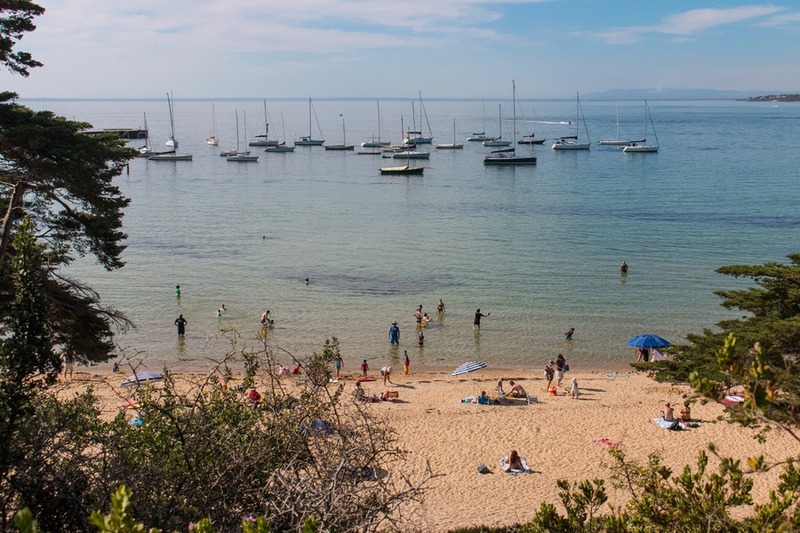 Mornington – 73km southeast of Melbourne (about a 1 hour drive), this stretch of beach juts out into Port Phillip Bay providing panoramic views of Melbourne’s skyline. We enjoyed a leisurely afternoon on the beach with friends, followed by fish and chips on the beach at sunset. This town’s laid back vibe reminds us of the southwest of Western Australia. 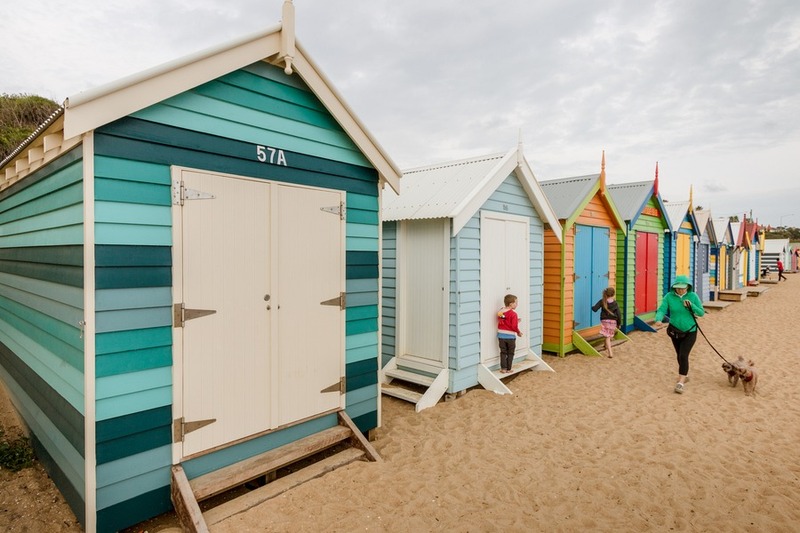 Brighton Beach – 11 km southeast of Melbourne’s city centre sits Brighton, which is famous for it’s landmark bathing boxes. 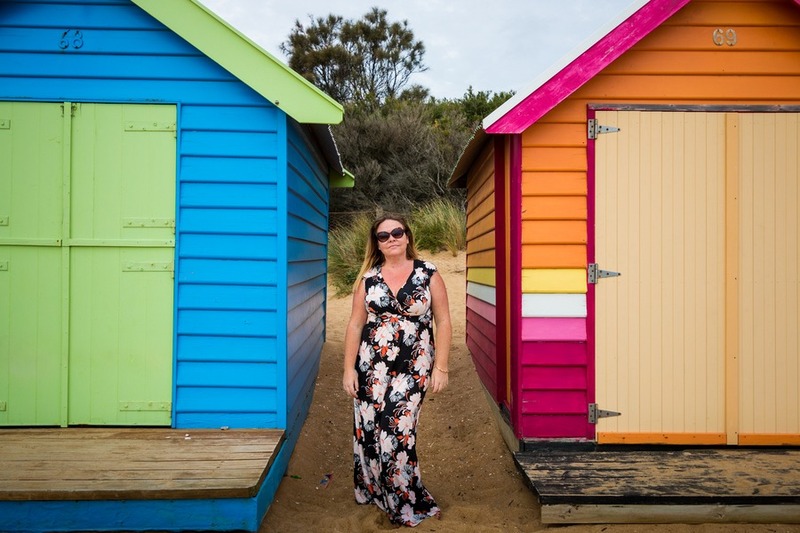 Spread across the white sandy beach lie 82 brightly coloured, yet uniformly built little huts that contain people’s personal buckets and spades, kayaks or jet skis. 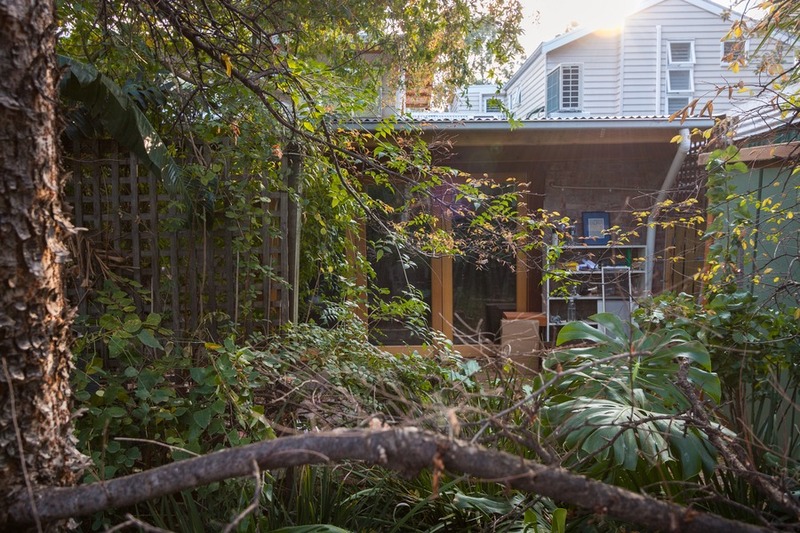 One of these little beauties on prime real estate will set you back around AUD$200,000. Oh, and they don’t have electricity or running water. 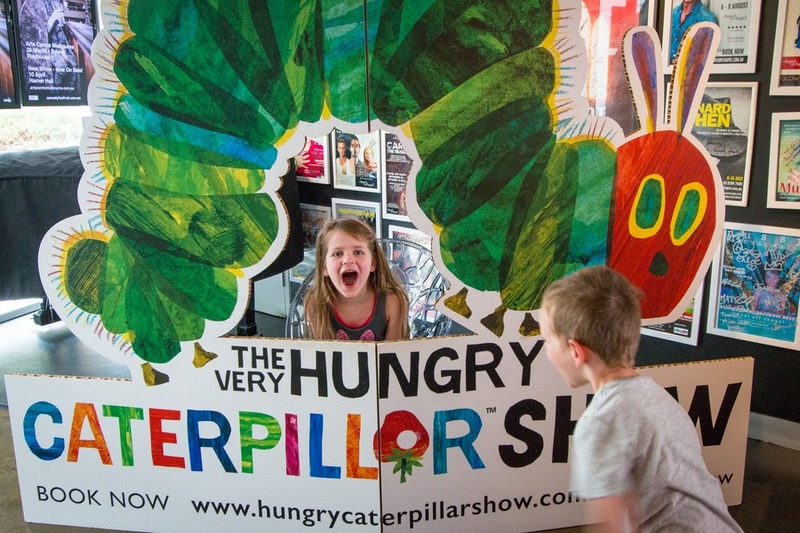 The Very Hungry Caterpillar – Still running in different parts of Australia! A delightful adaption on the popular children’s story that our kids absolutely adore, plus a few other stories in a 1-hour show. Colourful puppetry combined with engaging music makes this is the perfect show to take your under 10’s. 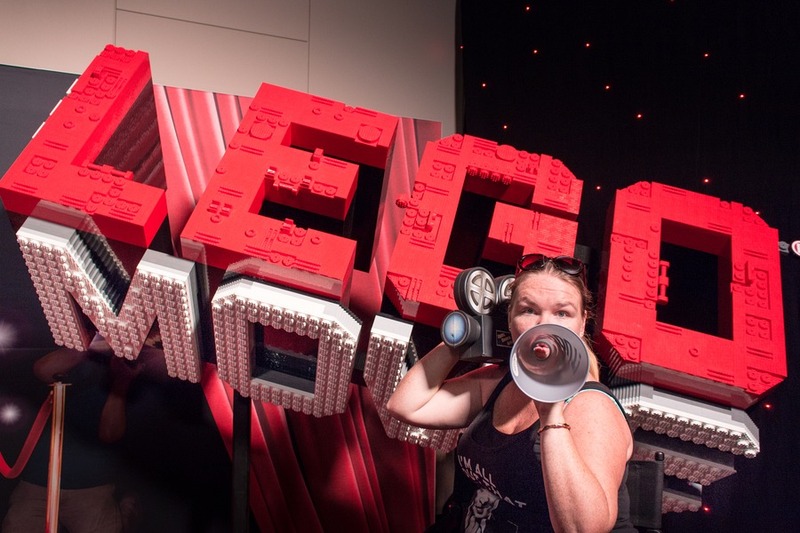 The Brickman Experience – Coming to Sydney in June! 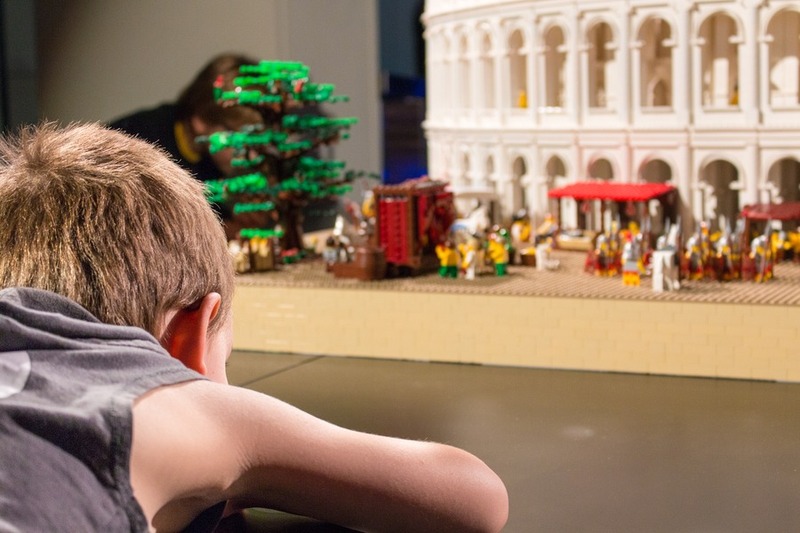 More then 50 works of Lego are on display at this interactive exhibit. 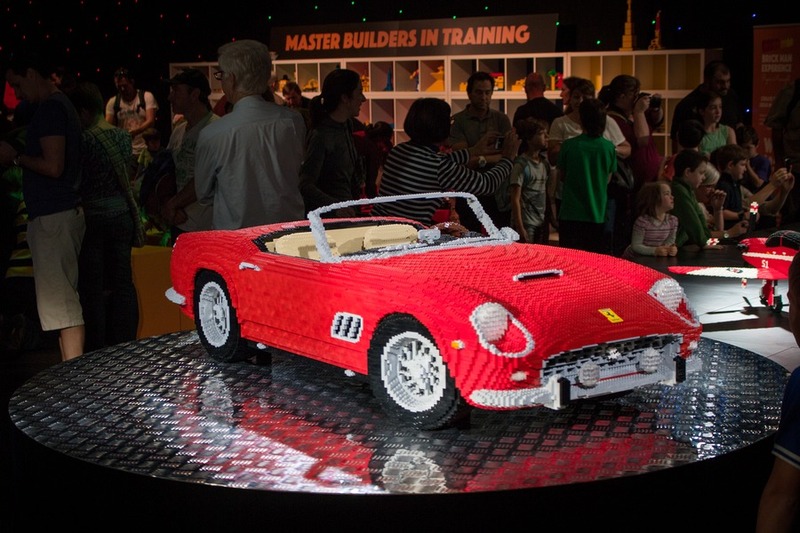 Our kids not only were in awe at the monumental displays of Lego, but they got to create their own masterpieces. This was a nice touch for kids who, when they see Lego, want nothing more than to get elbow deep in it. Walking With Dinosaurs – Coming to another city in Australia soon! The show depicts the dinosaurs' evolution with almost cinematic realism. The dinosaurs were so lifelike that both adults and kids enjoyed this amazing spectacular. 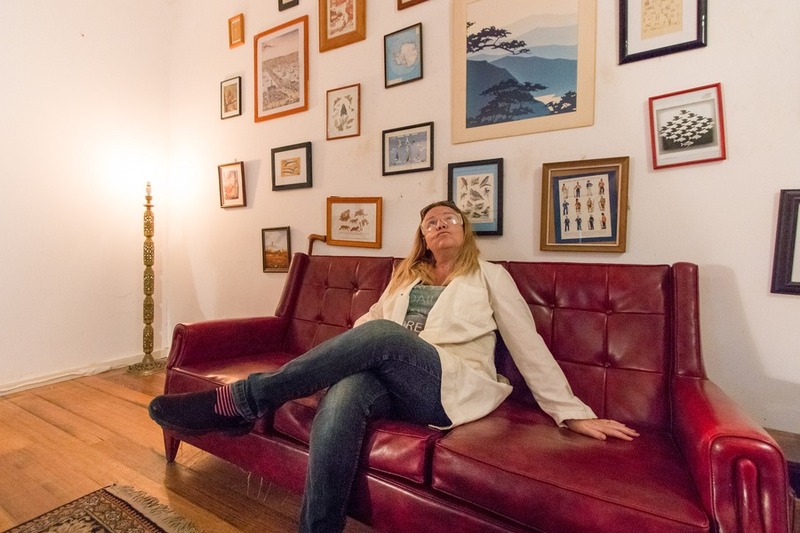 Wander Women – Watch for where they will pop up next! These three ladies were part of the Melbourne Comedy Festival and a real laugh. Their topic? Travel. It was right up our alley, from the travel fashion police to worst travel moments. A real travel lover’s dream show. Tripod – Hoping to take the Gaming Life on tour around Australia! My Dad organised tickets to this popular comic group. They were performing alongside the Melbourne Symphony Orchestra and were a barrel of laughs. If you every get a chance to see Tripod, do it. You’ll thank me for it. 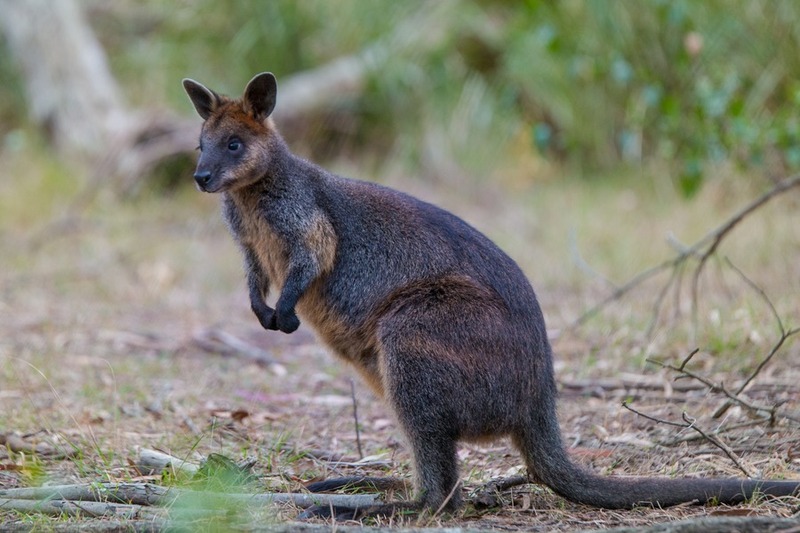 Cost: Varies greatly from AUD$20 – hundreds. Location: All over Melbourne, and hopefully Australia. Check their website. These places are popping up all over the world and Melbourne is on top of the game. I first heard about this when my sister asked me to do it with her on our visit. So we got my Dad, Sister, Josh and I to visit and see what all the fuss is about. Basically you are locked in a room and you have 70 minutes to unravel the mystery. There are puzzles, riddles, combination locks, and clues that lead to another clue. I won’t reveal too much because I don’t want to spoil it for you, but we managed to escape the room in 73 minutes with a little help from our host, the “man behind the camera”. The Escape Rooms are recommended for over 16’s, but you can check if children are allowed to come. If you have a 10+ year old brainy child who loves problem solving then perhaps that would work too. Cost: AUD$76 per person. Prices go down with more members per team - so a team of 4 is AUD$128. If you are scared of heights then this might not be on your list of places to visit. The Eureka Skydeck is 88 stories high with 360° degree floor-to-ceiling views of Melbourne’s CBD, sports precinct, Port Philip Bay, Docklands and more. For Josh’s birthday I decided to treat him to dinner on the 89th floor. Included in our $100 per person 5-course degustation menu was a visit to the 88th floor. The food was divine and the views absolutely stunning. While a very expensive night, it certainly made a memorable birthday experience. Along the 88th floor of the Skydeck you can visit The Terrace, which takes you outdoors, much like our visit at the Empire State Building. It was windy and cold so take a jacket. Also on the Skydeck is The Edge – a glass cube that protrudes 3 metres out from the building. 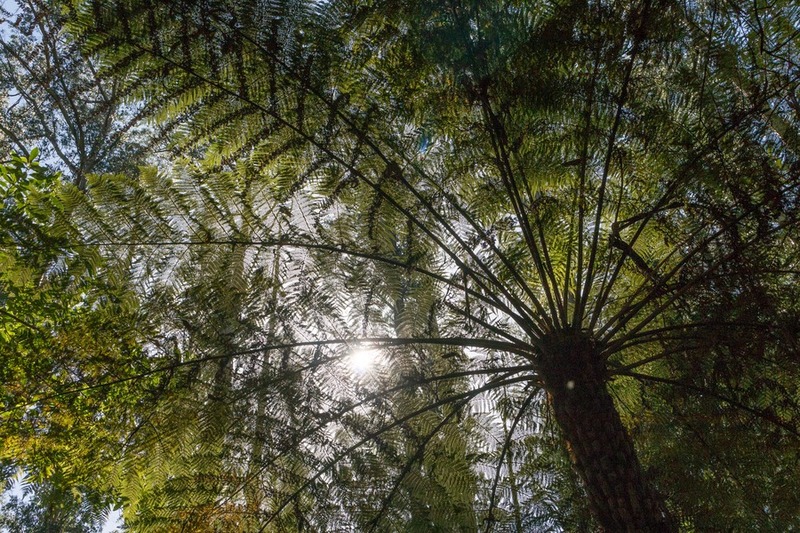 You step into it and it moves out, suspended almost 300 metres above the ground. I wasn’t game for this one. Oh, I have to mention the lifts that take you up. It took less than 40 seconds from the ground floor to the 88th. Apparently they’re the fastest lifts in the Southern Hemisphere, travelling at 9 metres per second. I’m very glad they weren’t made of glass too! Location: Entry from Riverside Quay, on the southern bank of the Yarra River (easy 10-minute walk from Flinders Station). 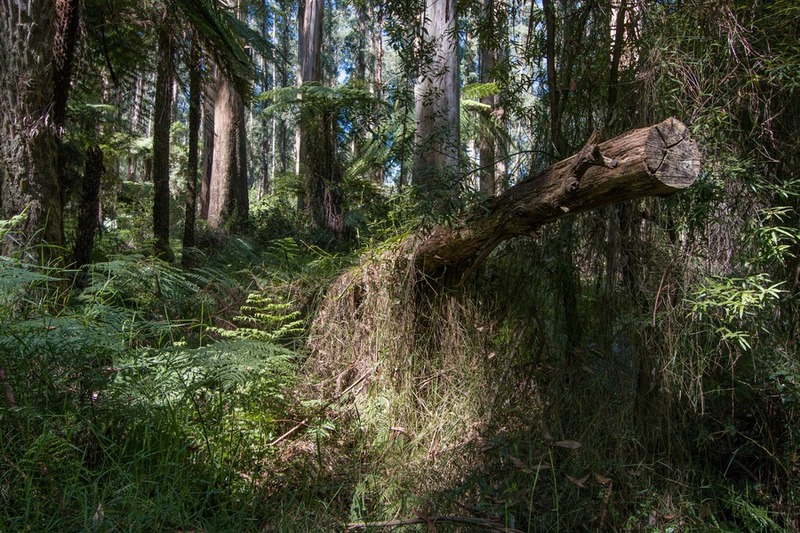 The Ranges are only 35kms outside of Melbourne and we felt like we really left the city. We enjoyed a picnic under the shade of the giant trees and took a hike through the lush, fern gully to picturesque waterfalls. A great day of fresh air and freedom. Location: Sherbrooke Falls can be found at Sherbrooke Rd, Sherbrooke. 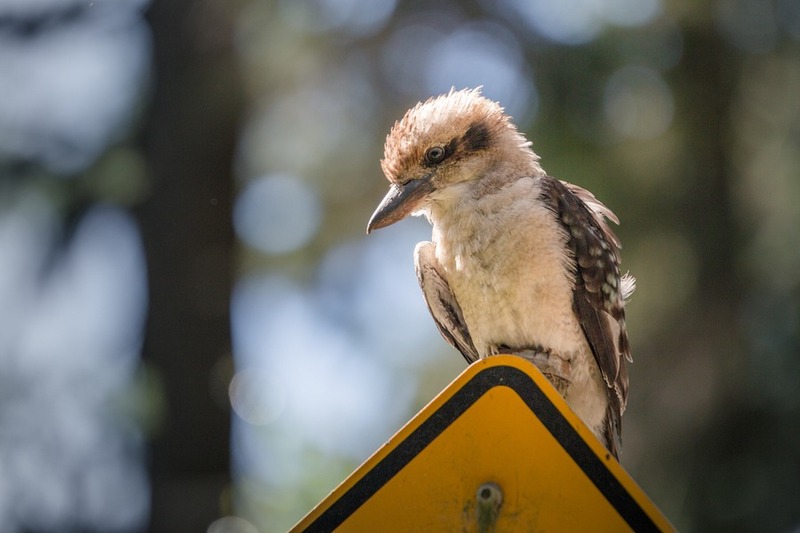 About 90 minutes southeast of Melbourne is this beautiful island steeped in history, nature and wildlife. 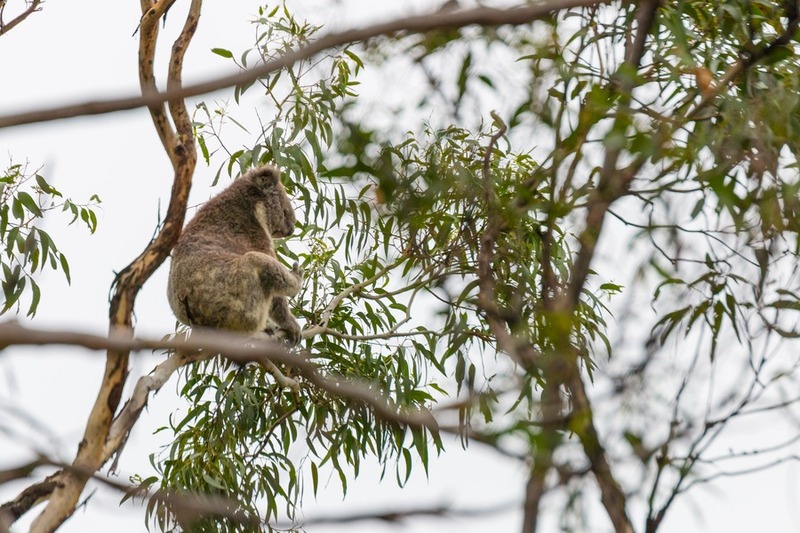 It’s a great day trip out of Melbourne where the kids can spot koalas, wallabies and the smallest penguins in the world. Location: Address for Penguin Parade: 1019 Ventnor Rd, Summerlands. While we were fortunate to stay with my parents during the majority of our stay in Melbourne we did spend a few nights at Somerset on Elizabeth, which was a great base to explore Melbourne from. You can read our review here or check their latest prices here. 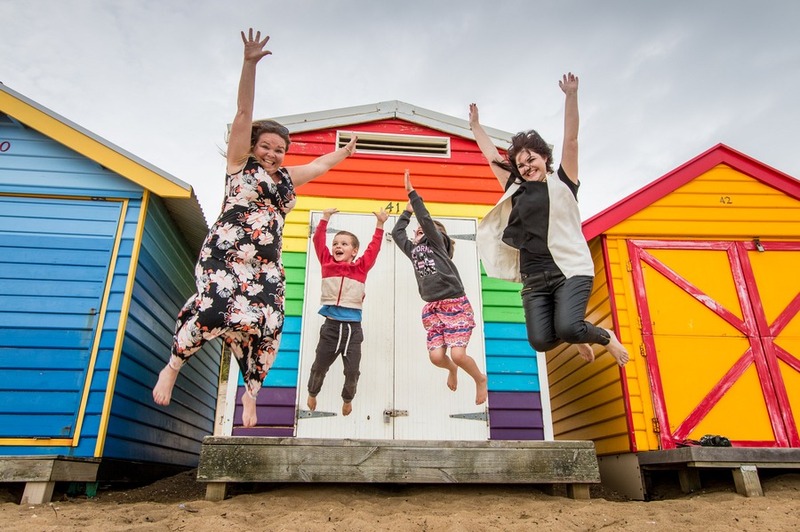 There is so much more to do in Melbourne then just the 10 suggestions we’ve provided. And there is no doubt this city is an easy place for any age group to explore, discover and be entertained. But I’m sure it will be very soon that our kids are going to be asking, “when are we going back to Melbourne?”. 10 minute jobs; getting very Japanese in Melbourne. Got to laugh. @paula - I've never been to Japan, but if they have toilets like that I want in! 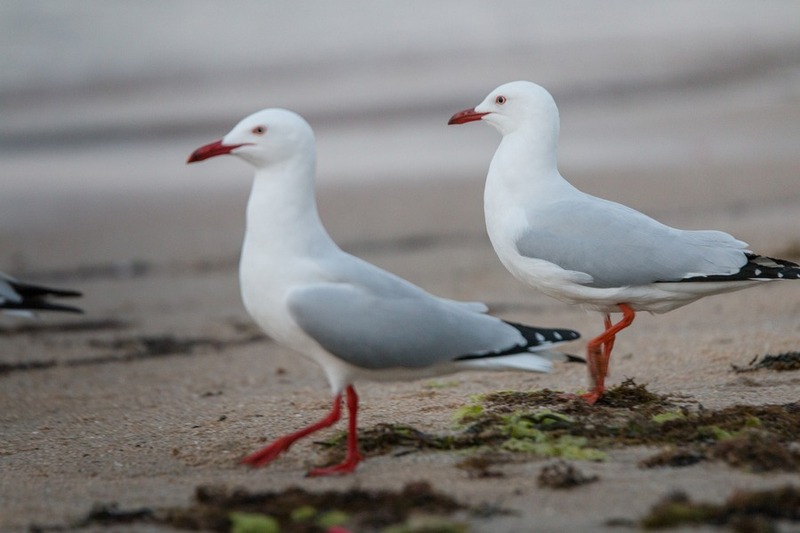 We're based in Melbourne - so glad you mentioned the beaches as they often are overlooked. My own experience of Luna Park has been lukewarm (with very young kids) as the height restrictions meant they missed out on most things. Much more a fan of Sydney's Luna Park. 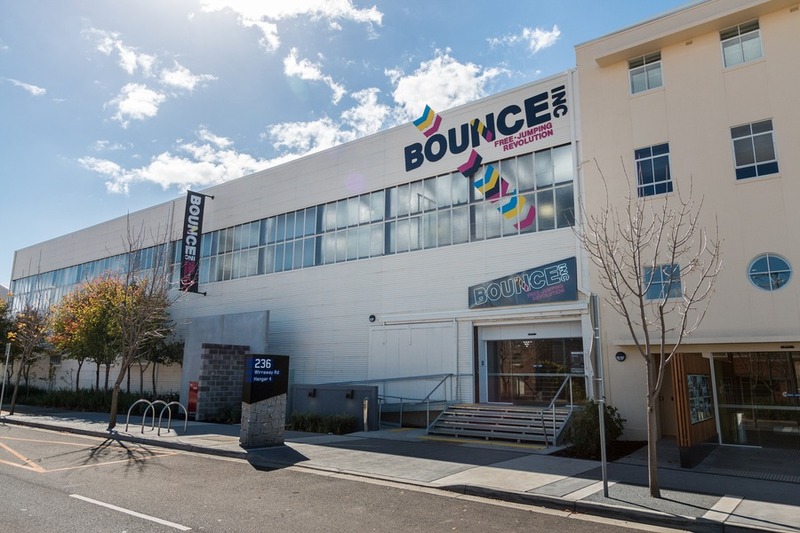 Bounce Inc - no need for kids there, what a great day out! I haven't trampolined since school, I wonder if I can still do it..
in Sydney you can visit one of the oldest Opal Shop from Australia.